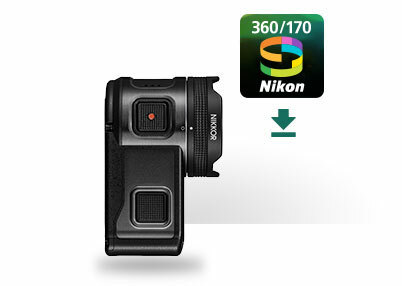 SnapBridge 360/170 is specifically designed to enhance your KeyMission experience, adding video playback, editing, remote camera control and sharing capabilities to a compatible smartphone or tablet±. Just like SnapBridge, SnapBridge 360/170 connects your camera and smart device through Bluetooth® low energy (BLE) technology so your adventures can be transferred as they're taken—ready for editing and online sharing. NOTE: Please be sure your camera's firmware is up to date. To check for new firmware, please visit our Download Center. Relive every amazing KeyMission adventure and share your experiences with the world the moment you catch your breath. 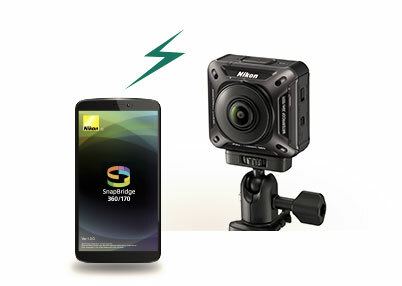 SnapBridge 360/170 opens a connection between KeyMission 360 or KeyMission 170 and a compatible smart device. Review your footage, make edits and then share with the world. The SnapBridge 360/170 app completes the KeyMission experience with playback, sharing and editing tools. 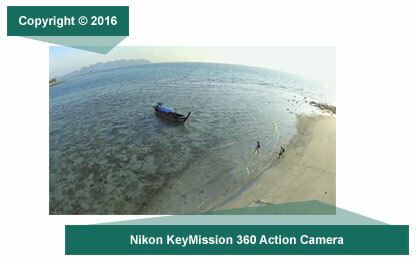 With KeyMission 360, you can interact with your videos like never before by controlling point-of-view simply by moving and tilting your smartphone. Crop images, edit movies, extract stills from your videos and share your adventures in incredible, immersive new ways. Monitor and control your KeyMission 360 or KeyMission 170 with a compatible smartphone. When your camera is mounted out of reach, use your smartphone to check the view, review your footage and start recording. Access Live View from your smartphone or tablet, start recording and adjust key camera settings—ideal for when the camera is mounted out of reach. Nikon will send notifications to the SnapBridge 360/170 app when new firmware is available for the camera that your smartphone is connected to. 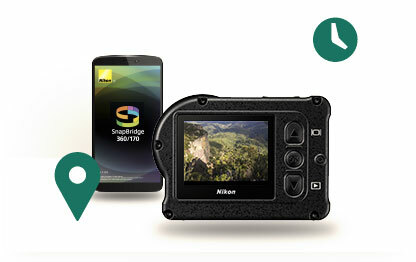 This way, you can enjoy all the latest camera features, without missing firmware updates. Add copyright information, comments, shooting information or text to your photos. This speeds up the process of sharing pictures online.